Momentum is the elusive ingredient that local Austin bands crave going into a new release or kicking off a new tour. 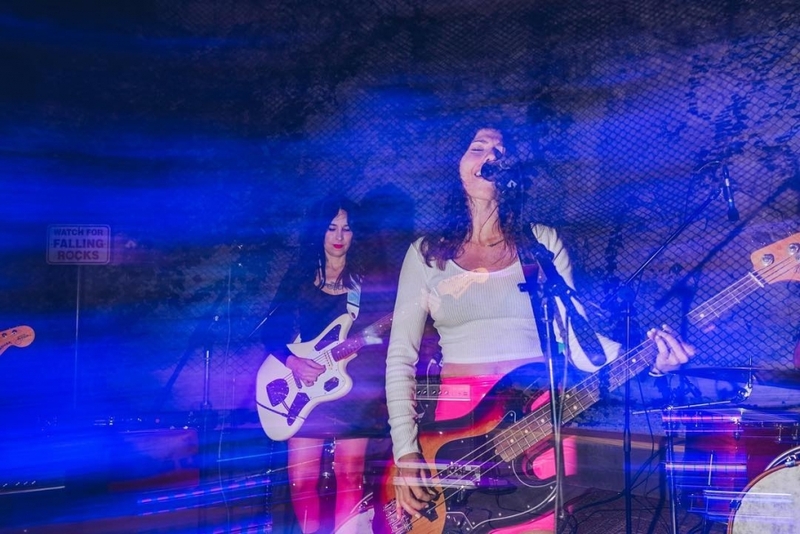 Thankfully that crucial element is directly correlated to the amount of effort put forth, and local shoegaze quartet, Blushing, are generating awareness with a slew of live shows on a variety of stages. The two husband and wife duos have been playing together since 2015, and their chemisty is uniquely cohesive and powerful for obvious reasons. Bassist/vocalist, Christina Carmona, is a classically trained singer who elevates each track into a celestial soundscape while guitarist/vocalist, Michelle Soto, reverberates an ethereal passion that blends perfectly into each heavenly track. "The Truth" is the first single off of their upcoming debut album, which is scheduled to be released in early 2019. The single demonstrates a deft mix of distortion, melodic swings and jangled guitars that create a beautiful volute of shoegazed bliss. The female-fronted quartet does not hide in a fugue state of druggy reverb like other shoegazers but, instead opts to slice through the fuzzy pedal effects with dynamic guitar riffs and pounding percussion that proves more epic than meandering. The band's dedication to getting in as many shows as possible before the new album release gives you the opportunity to see Blushing play with Holy Golden at Hotel Vegas on November 14th or you can catch them at Cheer Up Charlies on December 7th!